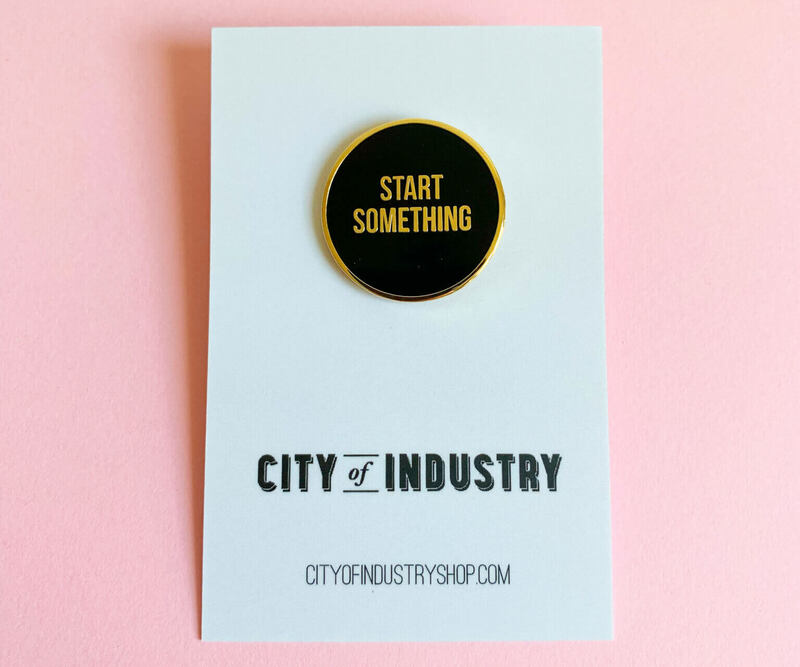 The Start Something enamel pin by City of Industry is a classic. 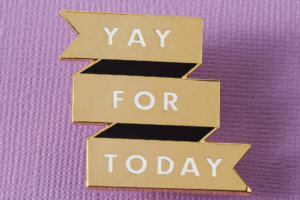 A black and brass statement pin with style and meaning- exactly what pins were made for. Start something today! Whatever it is that you are dreaming of starting… start it now. Start it today! It can be big or small, creative or practical, secret or communal, sweet or salty! 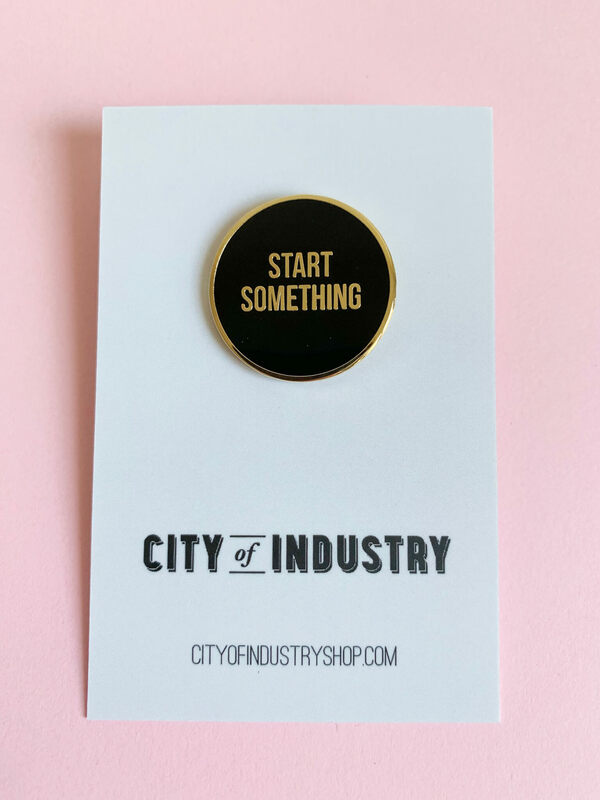 This City of Industry pin is here to remind you to get going and start. 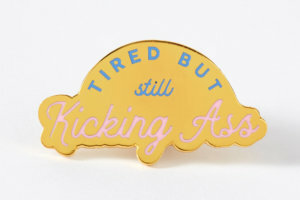 Sarah Anderson, the mastermind behind City of Industry, has created pins that are a tribute to the community of hard working makers that she knows and loves.